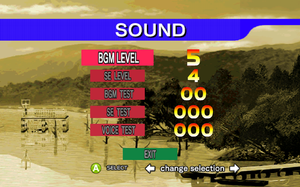 This page is for the Steam version. 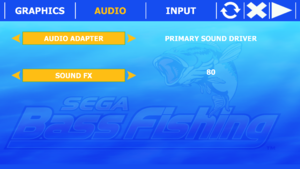 For other versions, see Sega Bass Fishing. 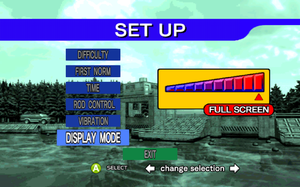 Old save file is compatible with newer version of the game, but save game data location is changed; simply copy save file from previous location to newer one. Cuts frame rate in half with higher frame rates. 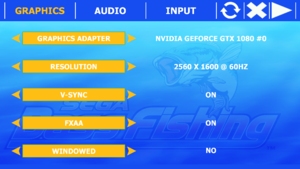 Seems to run at normal speed with 144Hz monitor running 72 FPS and lowering to 60 FPS slows the game down. 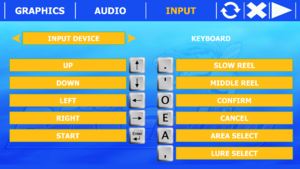 Launcher keyboard key map settings. 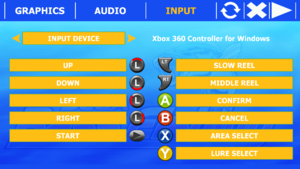 Launcher gamepad button map settings. ↑ 2.0 2.1 File/folder structure within this directory reflects the path(s) listed for Windows and/or Steam game data (use Wine regedit to access Windows registry paths). Games with Steam Cloud support may store data in ~/.steam/steam/userdata/<user-id>/71240/ in addition to or instead of this directory. The app ID (71240) may differ in some cases. Treat backslashes as forward slashes. See the glossary page for details. This page was last edited on 16 April 2019, at 18:52.